3D printing, where plastic material is deposited layer upon layer to create a three-dimensional structure, has changed the way we make everything, from prosthetic limbs to aircraft parts and even homes. Now it may be poised to upend the fashion industry as well. One of the functions of 3D printing is the ability to customise and personalise. It also gives designers, from the high street to the runway, a new medium to express bold and inspiring garments. One of a kind and tailor-made, Haute Couture is the perfect platform for 3D printing, and several cutting-edge fashion designers have already unveiled collections made with the technology. Karl Lagerfeld stated that 3D printing “widens haute couture” and predicted it will be used more frequently in fashion. 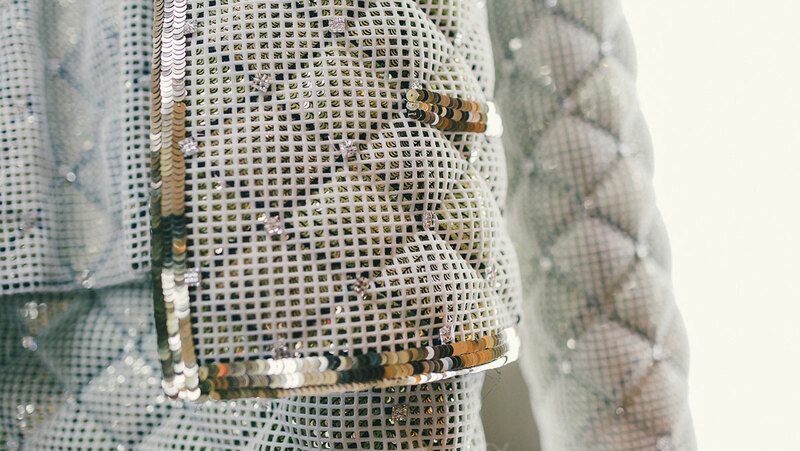 The fashion legend used 3D printing for a futuristic collection that was debuted at Paris Fashion Week AW 2015. Lagerfeld took the iconic Chanel suit sported square-cut shoulders and boxy jacket into the 21st century with a technique called selective laser sintering, which sees a laser aimed into space where it binds powdered material according to a 3D model, creating a solid structure. About 10 to 12 looks from the collection were designed using selective laser sintering. The tweed jackets were composed of 3D printed grids later embroidered by the house’s historic couture ateliers, Lesage and Lemarié. The quilted jackets and matching skirts are molded out of a supple, cage-like material. The layers of strategically stitched sequins underneath the pieces give it an almost two-toned appearance. Few fashion designers have experimented as intensively with new ways to introduce 3D printing and digital manufacturing techniques in haute couture clothing design and style as the veteran of 3D printing, Iris Van Herpen. Over several collections, she has juxtaposed complex shapes found in nature using cutting-edge 3D printing technology. 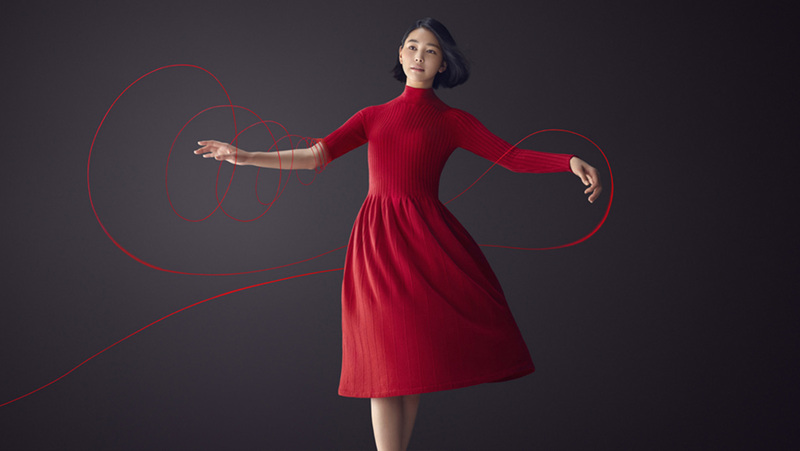 In 2017, Uniqlo launched a collection which featured items created with 3D U-Knit, a three-dimensional knitting technique that employs Shima Seiki’s Wholegarment technology to enhance fit and comfort. Typically, a knitted garment consists of separate parts — the front and back body panels and the sleeves — which are sewn together. The revolutionary Wholegarment knitwear, a cousin of 3D printing, uses yarn to produce a complete, three-dimensional item directly on the knitting machine. The intelligent machinery offers much more precise control than weaving traditionally, allowing for new ways to manipulate fabric and the ability to create details such as articulated elbows and shoulders that allow a built-in range of movement. Implementing this technology has helped Uniqlo increase access to knitwear with unprecedented refinement at affordable prices. 3D Printing for a Sustainable Future? Because 3D printing garments has the ability to mould exactly to your measurements, it’s environmentally friendly. There’s no waste, whereas there’s always waste with traditional cut-and-sew garments, where leftover fabric scraps end up being discarded. Great news for the fashion industry, which is known as being one of the greatest polluting industries and responsible for untold waste. As the technology behind 3D printing clothes is adopted by more apparel makers, it has the potential to trickle down to the masses. If you support the technology, or more likely, the ethos around zero-waste, purchasing from brands who have adopted the technology can help. However, don’t expect 3D printing to replace weaving, knitting, and other conventional means of apparel manufacturing anytime soon.